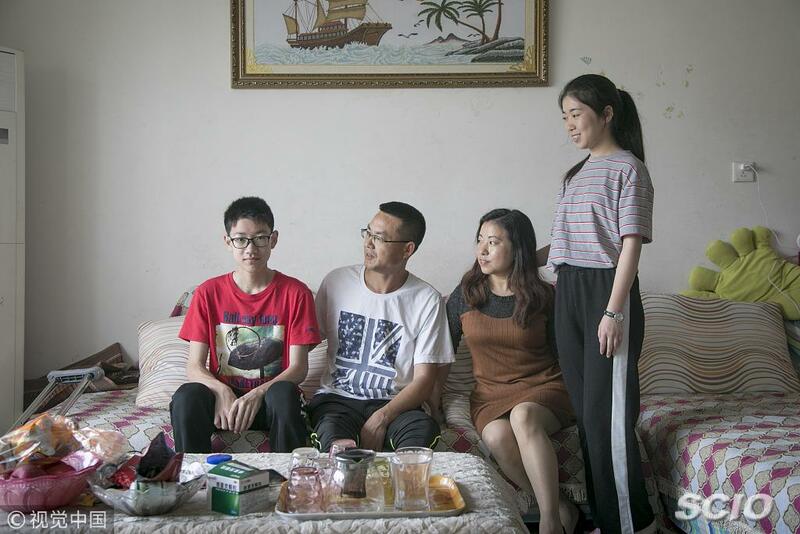 Feng Zhiyan was less than 7 years old when the quake took her father's life, and she came to the downtown area of Shifang city, Sichuan province, with her mother who had quit her job to receive primary school education. In July 2010, her mother married a man with a son, and a family of four was thus united. Now, Feng is in the second year of high school, and she ranks first in her class. The girl talented in singing and dancing dreams to enter the Communication University of China next year.